FranklinCovey Education is dedicated to unleashing the greatness in teachers, students, and educational institutions everywhere. teacher and parent satisfaction and engagement increases. We know there is much to do in fixing problems in today’s schools. But rather than joining the masses of critics, we celebrate and applaud the greatness in teachers who are doing so much to make a difference in young people’s lives and to improve our communities. The Leader in Me is a whole-school transformation process that integrates principles of leadership and effectiveness into school curriculum using every day, age-appropriate language. It emphasises a culture of student empowerment and helps unleash each child’s full potential. Based on the best-selling book by Sean Covey, the 7 Habits of Highly Effective Teens workshop helps students practically apply personal leadership principles to the tough choices they face every day. Utilising relevant interactive exercises, plus humour and videos, students will laugh while they learn how to gain greater control of their lives and build relationships high in trust. 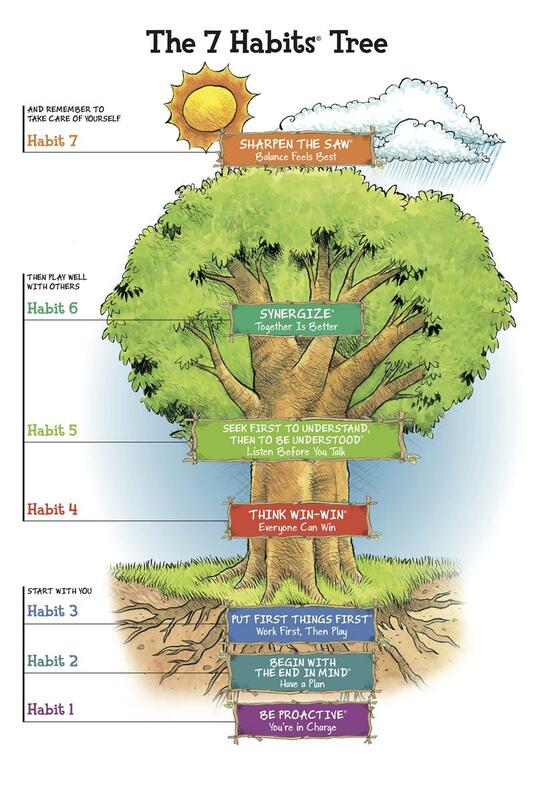 The one-day 7 Habits for Teens training is a means for educators, administrators, and parents to build students’ self confidence and interpersonal skills, elevate student achievement, and reduce school-wide discipline problems. This programme helps young people acquire the decision making skills to meet the challenges of education, family relationships, dating, and addictive substances and to gain greater control of their lives.